One of the last years for the MHR, this is a true Mille replica, one of the early Mille replicas with black forks and triple clamps. Two into one, reverse cone exhaust and dual plug heads added to the bike. Original fuel petcock, windscreen and regulator replaced with non-OEM products in the last couple years. 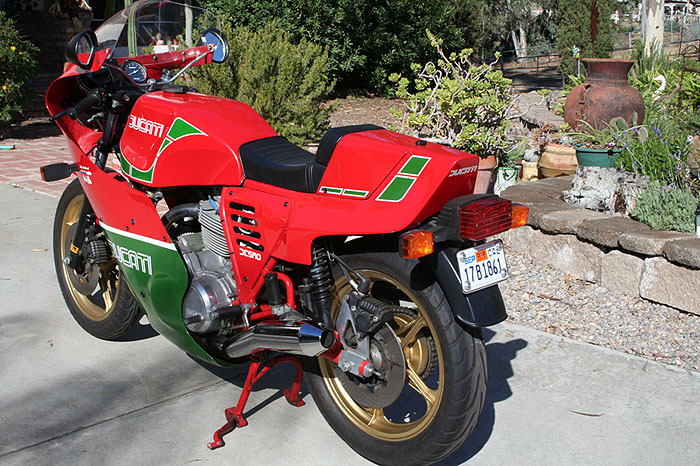 This bike has been out and about in SOCAL and was shown once on Ducati Island. New Dunlop Arrowmax tires in 2004 (at 8783 kilometers). 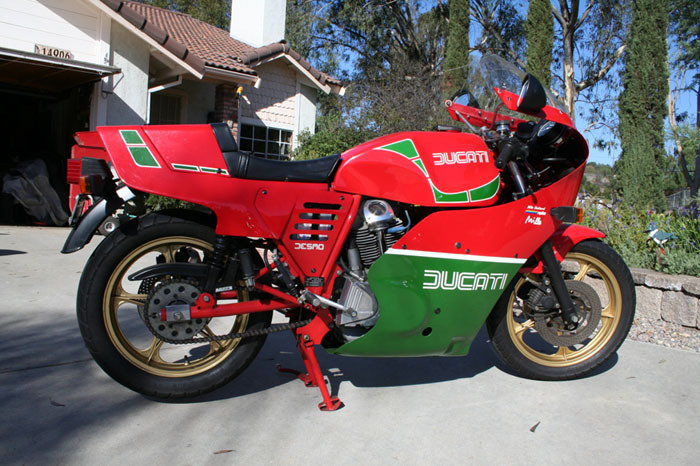 Bought from and serviced by world-known Sonny Angel Motorcycles in National City. 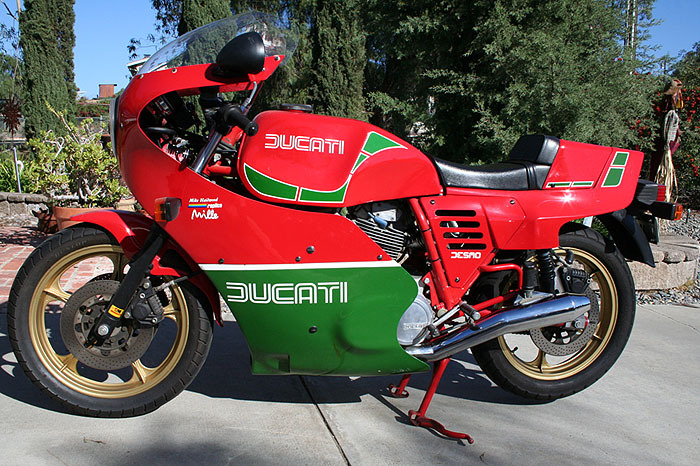 The motorcycle was originally sold in 1986 in Pennsylvania. Present titled and currently registered in California. 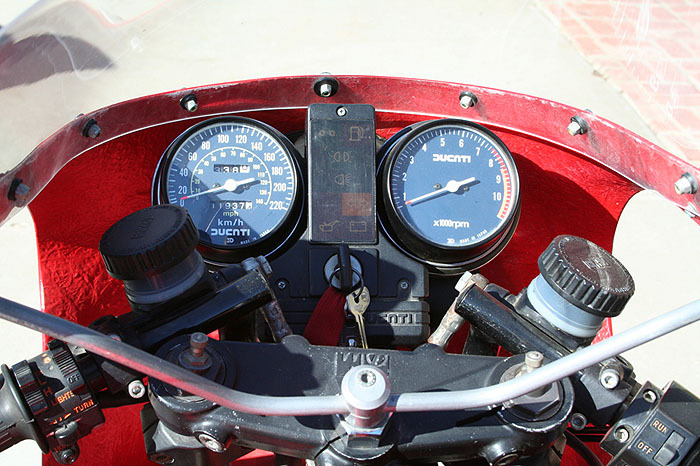 This bike starts with the electric starter, runs and stops very well and is in particularly good condition. However, it is to be sold "AS-IS, WHERE IS" with absolutely NO WARRANTY EXPRESSED OR IMPLIED. 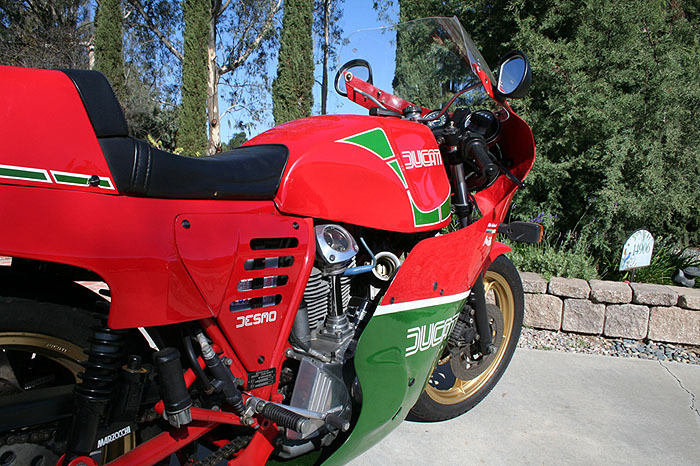 I have described this bike to the best of my knowledge above with accurate statements, and provided all details both good and bad that I am aware of for this particular bike.